Autumn Dawn Caviness completed her B.A. and M.A. in Communication at Texas A&M University. This past spring, Ms. Caviness completed her M.A. in Radio-Television-Film at the University of Texas. Currently, Ms. Caviness is a fourth year doctoral student in UT’s School of Journalism. 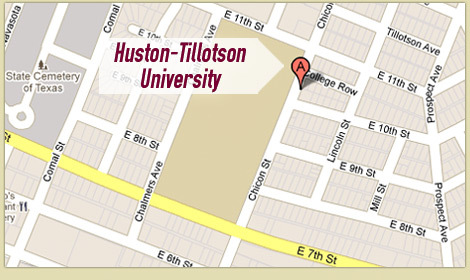 In addition to attending UT, Ms. Caviness serves as the Director of the Center for Academic Excellence at Huston-Tillotson University. Ms. Caviness was a recipient of the Texas Women in Higher Education Leadership Grant; selected as a Top 10 Black Innovator by MVMT50 and NBCBLK, during SXSW Interactive; selected as Faculty Member of the Year for Huston-Tillotson’s Adult Degree Program; designated as the Director of the 2016 2nd Annual Diversity Hackathon; and featured in The Greater Austin Black Chamber of Commerce’s #IAMBLACKAUSTIN campaign.